Baca Architects has developed a speciality in water-related design and are leaders in flood-resilient architecture and masterplanning. Drawing on their award-winning research – the LifE project – Baca will present their Amphibious house (currently under construction and the first of its kind in the UK), Aquobox (a demonstration flood-resilient building for the BRE Innovation Park) and the MIPIM 2014 award-winning island development, Nijmegen (€ 365m Dutch Room for the River Project). Baca have recently completed a chapter on flooding for the forthcoming Metric Handbook. Baca will also convey their vision for tackling future climate issues, from individual buildings to whole climate-adaptive cities. 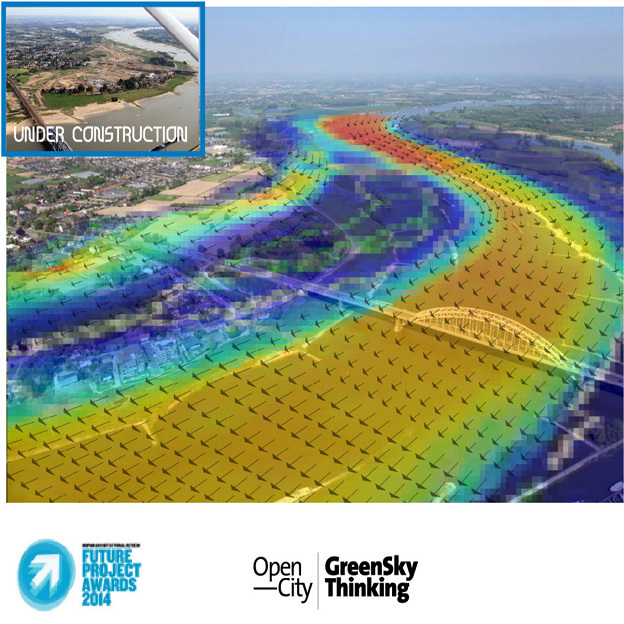 For more information on Green Sky Thinking, please click on the link below.